Hywel Bennett was brave and moving as Scott. Helen Ryan, with her beautiful voice, played the stoic Kathleen Scott. Benjamin Whitrow portrayed the calm and confident Amundsen as a triumphant anti-hero, and Martin Sadler, Peter Birch, Christopher Neame and I played Scott’s luckless comrades. 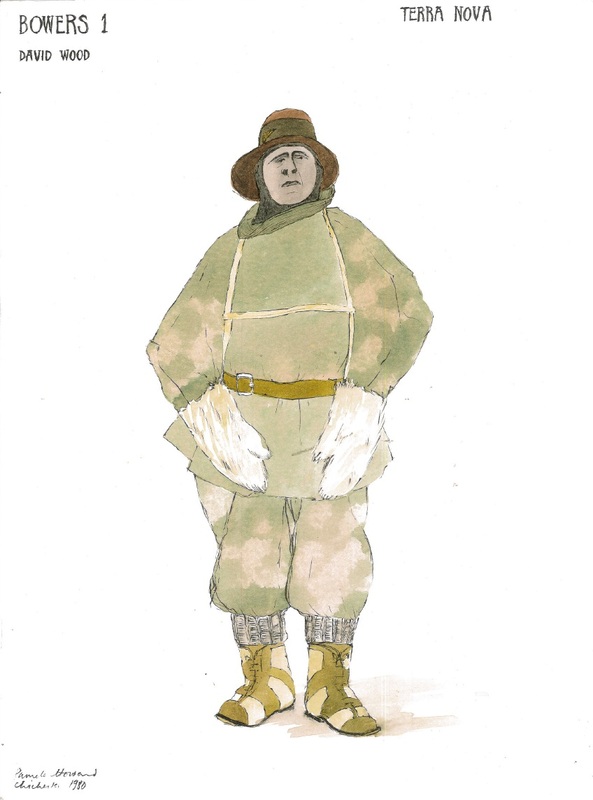 We were given a day’s research at the Scott Polar Institute in Cambridge, where we began to comprehend the enormity of Scott’s enterprise, the courage and endurance of the men, and, most surprising, how skimpy were the clothes they wore, ridiculously inadequate in such extreme cold. We were shown how the men packed the boxes of necessary supplies and camping gear in boxes, then loaded them onto the sledges, which had to be pulled miles through the icy landscape by the men, attached with canvas harnesses. 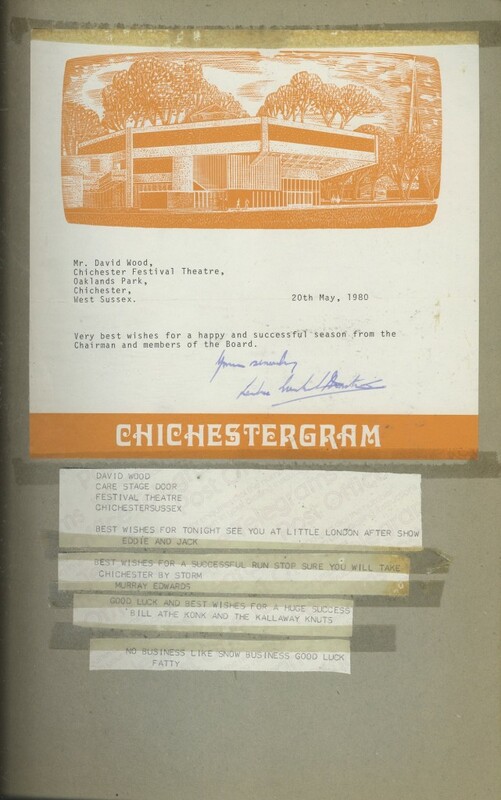 Back in Chichester, rehearsals began, sometimes in the rehearsal room at the Minerva building at the end of East Street, sometimes on stage. As a director, Peter was relaxed and generous, encouraging us to discover our characters gradually. I remember that one of my speeches seemed overlong, with perhaps too much technical detail for the audience to take in. Peter said my homework was to rewrite it, which I found a bit daunting. I introduced a Latin word, ‘ergo’, wondering if it might be the kind of word Birdie might use. In spite of my misgivings, ‘ergo’ and the rest of my homework duly appeared in the Samuel French edition of the script. 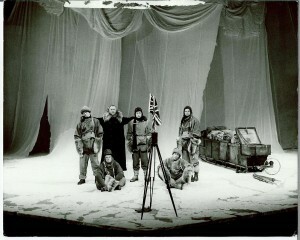 Pamela Howard designed the brilliant and deceptively simple set for Terra Nova. 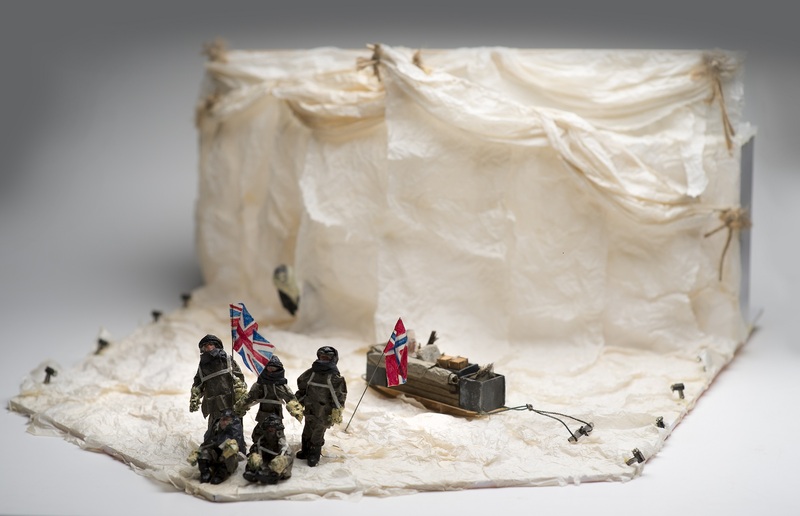 All white, it represented the snowy wastes of the Antarctic as well as accommodating slide projections, particularly the famous photo of the disappointed five at the South Pole. 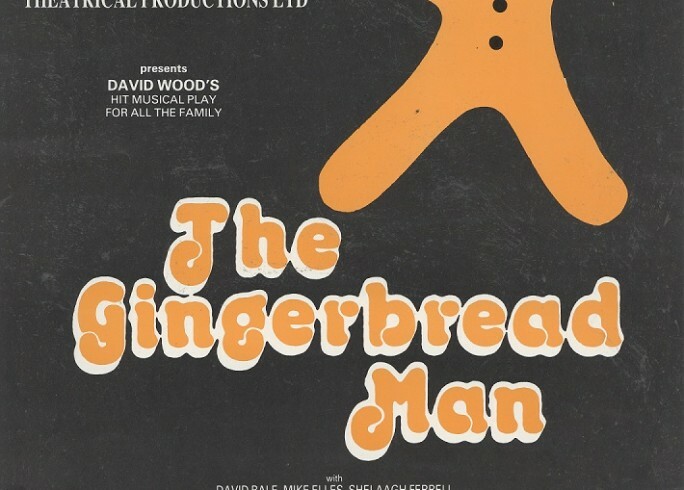 During a hot summer, with no air conditioning in the auditorium, it gave the audience an illusion of chilliness. Unfortunately it didn’t stop us actors from sweating profusely in our costumes which, though inadequate for the real-life characters we were playing, felt very hot to us under the stage lights. The stunning lighting was by Mick Hughes. Mick was so successful in recreating the Aurora Australis, featuring subliminal variations of flickering lights, that several audience members were forced to leave with symptoms of epilepsy. One night, as Scott and Amundsen were playing an imagined conversation in front of the skeleton wigwam, created with poles and no canvas, in which the four of us huddled, suddenly anguished hoarse breathing was heard from the auditorium. I whispered ‘heart attack’ to my colleagues. The scene continued. The noises became louder and more alarming. It suddenly struck all of us that in a couple of lines’ time, Amundsen would say, ‘Really, it’s an extraordinary place. It wants so much for you to be dead’. Surely Ben Whitrow won’t be able to say this in such circumstances, we thought. Thankfully, Hywel, as Scott, halted the proceedings and said quietly to the audience that perhaps it was best if we left the stage. This we did. Later we heard that the front of house staff had managed to convey the poor man to an ambulance, which arrived with impressive speed. We returned to our places, to warm applause and carried on the play. The heat gave me major nose problems. Birdie Bowers had a very prominent nose, hence his nickname. It was very beak-like. This involved creating a false nose from special putty, which was meant to sit firmly on the bridgeof my own nose. Several times sweat loosened it, and occasionally I found myself holding on to it mid-scene. Every performance I dreaded my ‘ergo’ speech. It was lengthy, and spoken right on the point at the front of the stage, bang in the centre. Feeling very exposed, I had the job, while speaking the speech, of setting up the theodolite, a piece of scientific equipment. I am technically hopeless, so the combined worry of trying to set it up correctly and remember my lines became a nightly challenge. The relief when this moment was successfully accomplished was immense. During the run I developed a silly superstitious ritual. Before the first performance I had walked round the vast theatre car park twice in a clockwise direction, going through all my lines. Thinking this had helped me get through our opening show, I repeated the exercise before every performance, twice on matinee days, even in the pouring rain. Traditions like not mentioning the Scottish play in the dressing room or not whistling on stage seem trivial compared with this self-enforced routine. The play was very well received, although not every seat was sold. The fact that it was a new play must have put some people off. Several friends, as well as my family, came to see the show and visited me in my dressing room. My old Headmaster from Chichester High School for Boys Mr Anderson and his wife also came round and were generous in their praise. I reminded him of how he had encouraged my theatrical ambitions more than twenty years before. Listen to some of oral histories on the 1980 production of Terra Nova here.